Under cash register, there's a grey info button located at the right top of the receipt. Click on that to bring up receipt information. 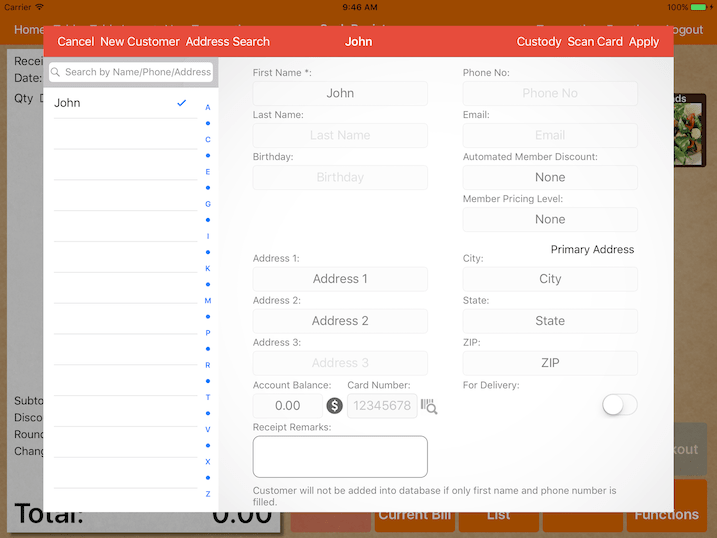 Under receipt information tab, you could enter customer name and phone number that will be printed on bill. Kitchen docket will show customer name. To assign a customer account, simply click on any customer listed to add or remove. Receipt remarks will be printed on all kitchen docket. To set the bill as delivery, switch on For Delivery. 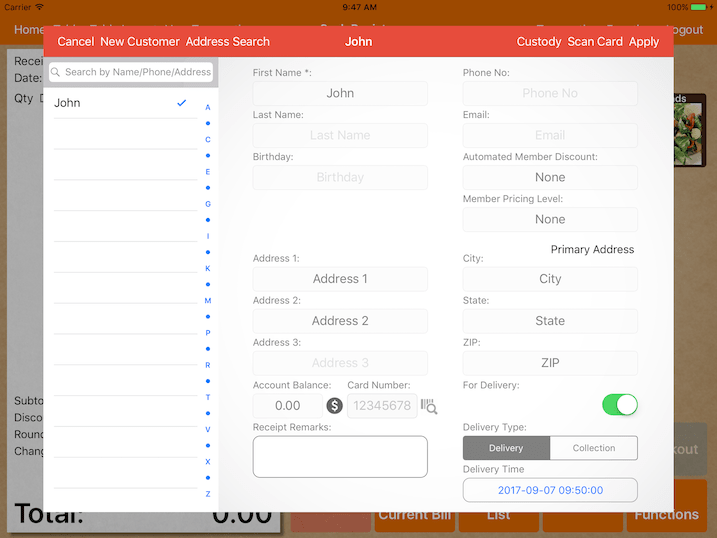 Configure the delivery time and delivery type can be configured to delivery or collection. Delivery address will be printed out on bill or kitchen docket.